Helicentre Aviation Academy has allocated a further £75,000 in part-funded scholarship awards to its already generous 2018 Professional Helicopter Pilot Scholarship Programme. In the last five years, the company has invested over £500,000 into training scholarships which have been awarded to pilots training at the Academy in an effort to meet the company’s ongoing requirement for Flight Instructors and Line Pilots. The awards have provided stand-out individuals with full or part-funding to obtain a professional licence with immediate work opportunities and the chance to gain valuable experience. For many, the Scholarship Programme has provided life-changing career opportunities leading to quick progression into industry roles such as Utility and HEMS (Helicopter Emergency Medical Service). 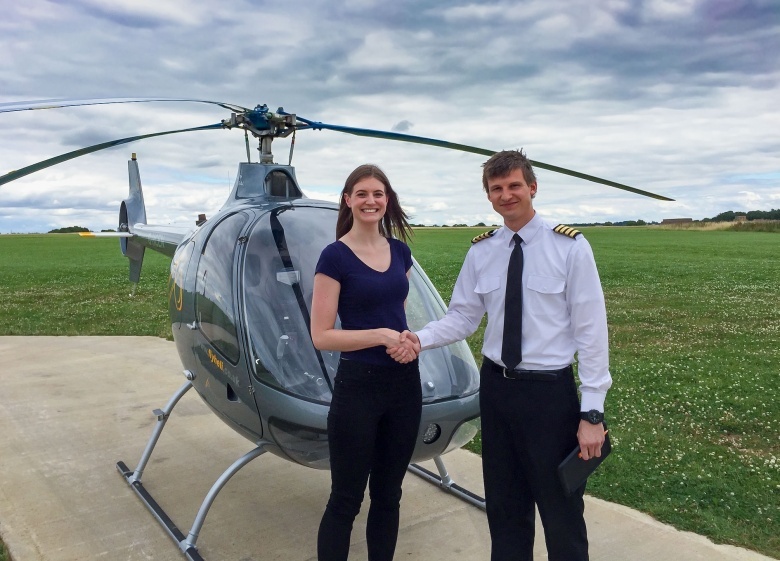 At the end of last year’s selection process, Janine Lythe from Northampton was awarded the prestigious fully-funded Commercial Pilot Scholarship which paid for around 120 flying hours in the Cabri G2, including the CPL course. This was the first year the company also awarded part-funded Scholarships to applicants who demonstrated extreme talent and motivation, however, this year even more money is being invested. With the 2018 selection process already underway, the 25 applicants who are all newly qualified private pilots, will have a chance to secure a share of £75,000 in addition to competing for a fully-funded CPL(H) Scholarship worth up to £55,000, and a Flight Instructor Scholarship worth £20,000. The £75,000 of part-funded awards will be allocated as one scholarship of £10,000, two scholarships of £7,500 each, and ten scholarships of £5,000 each. Applicants who wish to be considered for the Helicentre Aviation 2019 Professional Helicopter Pilot Scholarship Programme must submit their application form by 31st December 2018. No flying experience is necessary at the time of application but the PPL(H) course must be completed at Helicentre Aviation Academy by 30th September 2019 to qualify for selection. Full details can be found at www.helicopterscholarships.com.